I’m putting my 15hp lifan back together after removing the governor and I’m not sure which mark to line up on the cam. 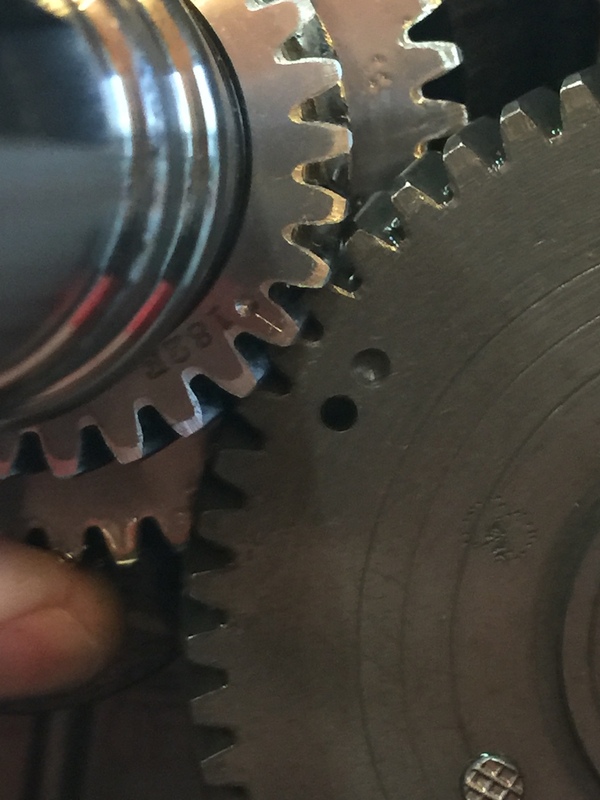 There is a “dimple” on the crank and both a dimple and hole right next to each other on the camshaft. Any idea if I’ve got it correct or 1 tooth off?? Hmm. That's a tricky one. I think you are lined up right. Hard to tell. I would agree. Dimple to dimple. I think the hole is coincidencal. That's what I was thinking as well. The balancer has a dimple on the gear as well, so I was assuming it was the same for the cam. Of course it came out with the side cover when I removed it so I couldn't see how it was assembled to begin with. I would say dimple. I will look at my lifan cam next time I get out there but its 5yr old engine it may be different, I don't recall a hole there. I put a VC460 cam in it this summer. Hello, I would go with the dimple if it was mine, I think the hole is a cut out for gear Balance. Ignition systems, small engines/clone, timing - discuss? Big Block Talk!